Winter has most definitely arrived in Canberra. With some mornings starting out at a fresh -7 degrees, the majority of Canberrans are going into hibernation…however at Cogito Group, May and June have been our busiest months this year. 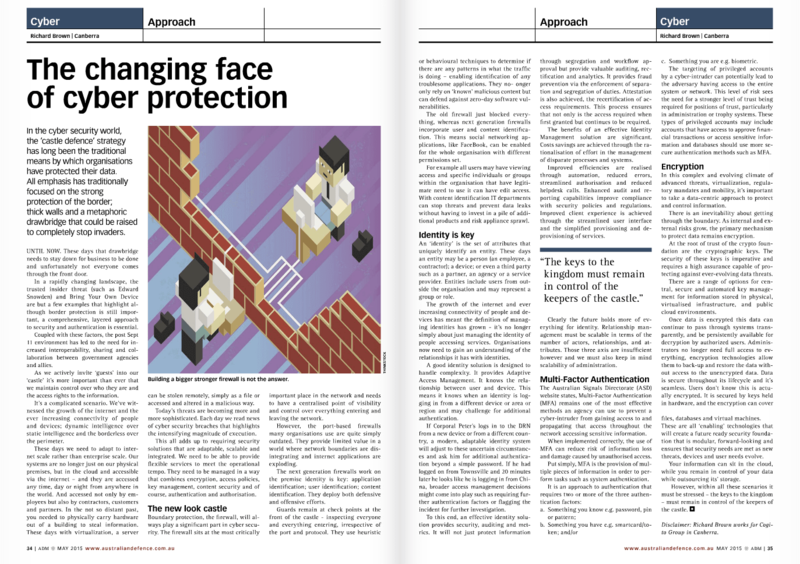 We started May by publishing an article in the Australian Defence Magazine where we discussed the changing face of cyber protection and how today’s cyber threats are increasingly sophisticated. We are regularly seeing situations of cyber security breaches that highlight the intensifying magnitude of occurrences. 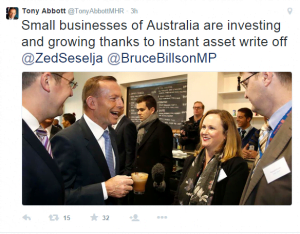 Late May saw us at a Small Business Roundtable where Richard Brown, Managing Director and Bernadette Brown, Marketing Manager met The Hon Tony Abbott MP, Senator Zed Seselja and Bruce Billson MP. This was a great opportunity for the Prime Minister to hear how Cogito Group are excelling as a small, growing business, and a chance for us to share our experiences with other business owners. The event also provided an opportunity to network with other business owners and community leaders. Leading on from the Small Business Roundtable, Cogito Group presented the award for the ‘Best Start-up Potential’ at the inaugural hs.hact.io event. 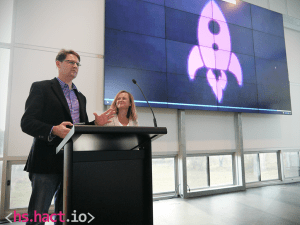 This event saw Canberra high school students learning how to code. The students were assisted by professionals in the industry, including three Cogito staff members who acted as mentors to the young students. With a large number of innovative ideas we couldn’t just choose one winner. In the end there were three teams judged top of the class, including Challenger, Wallet Mate and HuntPro. June saw us heading to sunny Queensland for the AusCERT conference. 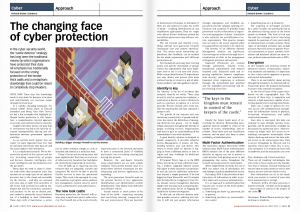 The conference ran for five days and covered many current IT security issues, opportunities to network with industry peers, and the chance to observe the latest in IT security products and services. Andrew Wall MLA is the Liberal Member for Brindabella. He is also the Shadow Minister for Small Business. Cogito group sat down with him to discuss his thoughts on Small Business in Canberra. Andrew is interested in hearing about local success stories, particularly small businesses that are pioneering their way to the top with innovative ideas. 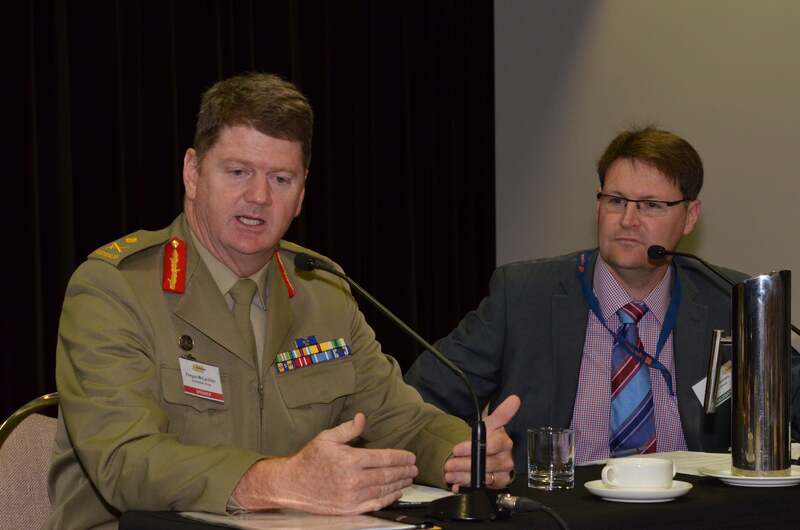 The Australian Defence Magazine’s 5th Annual Cyber Security Summit was underway from June 16th. Cogito Group had an exhibition stall where we demonstrated specific IT security solutions to delegates. Richard Brown chaired the second day of the summit where he introduced speakers such as; The Hon. Kevin Andrews MP, Minister for Defence and Major General Fergus McLachlan, head of Modernisation and Strategic Planning. 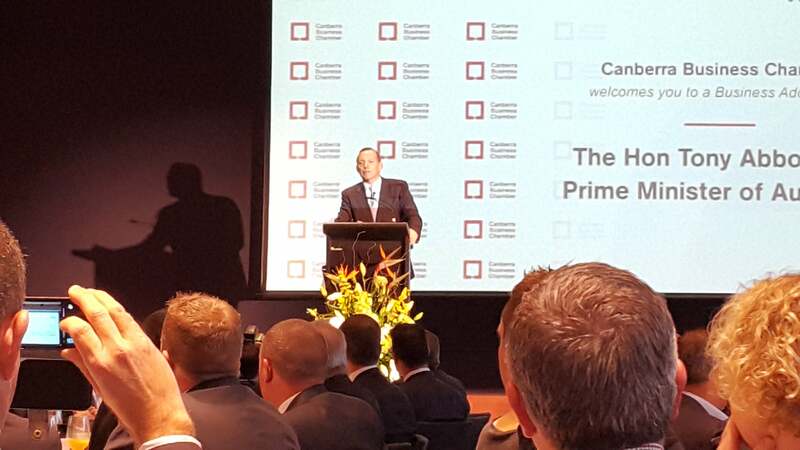 More recently we attended a keynote address to the Canberra Business Community where the Hon Tony Abbott MP was speaking. 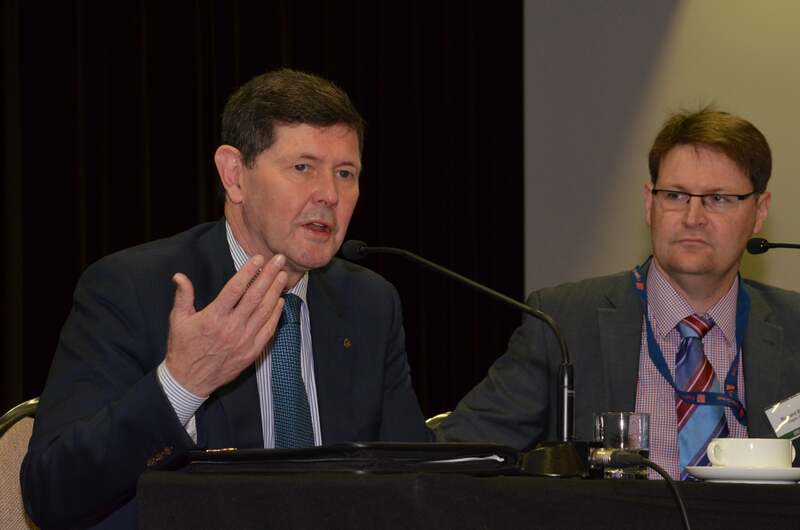 This was the first time in ten years a Prime Minister has addressed the small business community in Canberra and we were presented with many new ideas. Leading on from the keynote address Richard and Bernadette had the chance to catch up with Senator Zed Seselja at Parliament House and share what Cogito Group are passionate about. Zed is interested in cyber security and eagerly accepted our offer to visit the Cogito offices, meet with our staff, and observe our enthusiastic approach to cyber security. On top of all of these thrilling opportunities, we have been busy submitting tenders, expanding our staff numbers and executing our usual high quality of work for clients. We look forward to seeing what July will bring Cogito Group. 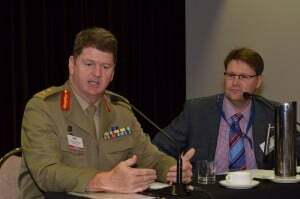 Richard chairing the Australian Defence Magazine’s 5th Annual Cyber Security Summit.